What Wages Are Used to Calculate Withholding? What wages are used pay amount is used to calculate withholding? It sounds like a simple question, but it's not. Different pay amounts are used as the base for calculating different types of withholding for employees. First, we'll look at the employee's gross pay and then how withholding and employment taxes are calculated from that gross pay. Finally, we'll look at the types of payments not included when calculating withholding. Gross pay is the amount of an employee's pay calculated each payroll, depending on the employee type. For hourly employees, gross pay is the employee's hourly rate times the number of hours worked, and including any overtime rate payments. In other words, gross pay is all payments made to an employee by an employer. But some of these payments are not included in calculating some types of withholding. Withholding for federal income tax is based on wages paid by an employer. For the most part, all calculations for wages subject to withholding (FIT, FICA) are based on gross pay (total W-2 income before any deductions or exclusions) from that employer. "Wages subject to federal employment taxes generally include all pay you give to an employee for services performed. 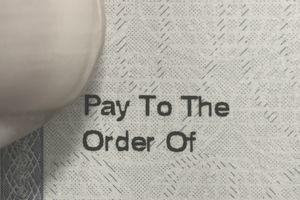 The pay may be in cash or in other forms. It includes salaries, vacation allowances, bonuses, commissions, and fringe benefits." How are withholding and employment tax calculated on employee pay? Employers must withhold certain amounts from employees and pay certain employment taxes to the IRS based on employee wages. But gross pay may be reduced by specific amounts allowed by the IRS. This article explains the types of withholding deducted from employee pay and payable by employers and the types of pay which can be excluded for these purposes. Federal income taxes (FIT), withheld based on the information from the employee's W-4 form and the employee's gross pay for a pay period. FICA taxes (FICA) (Social Security and Medicare taxes). Social Security taxes are withheld from employee wages, up to the Social Security maximum; Medicare taxes are withheld from employee wages with no maximum, but some higher-paid employees have an additional Medicare tax that must be withheld. FICA taxes are also paid by employers, with no maximums. Federal unemployment taxes (FUTA), which are not withheld from employee wages but are paid by the employer based on the employee's gross pay. There are, however, some types of payments by an employer that are not included in wages for the purpose of calculating withholding. Contributions by an employer to a qualified retirement plan are one common example of "wages" not subject to withholding. IRS Publication 15 lists specific types of payments and whether they can be excluded from calculations for federal income tax, FICA tax, and federal unemployment tax. For the purpose of calculating FIT and FICA, an employer must start with total W-2 wages, then deduct amounts that can be excluded, in order to get a total amount to be used for calculating federal income taxes and FICA taxes. Excludable pay for individual employees is used to reduce that employee's pay for federal unemployment tax purposes. Pay for all employees that is subject to federal unemployment tax is added up and the federal unemployment tax rate is applied to the total payroll amount. States usually follow federal rules for withholding, but each state is different. Check with your state's department of revenue on state rules for calculating withholding. Are You Withholding State Income Tax Correctly for Employees? Are You Withholding Enough Tax From Employee Paychecks?